we have developed a complete line of pre-packaged baked products for supermarkets. 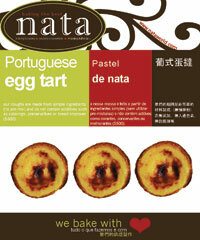 our nata line is available in Seng Cheong, (Taipa), Bemvindo (Macau), Parknshop (Taipa), Parkshop (Macau) and Pavillions (Macau). 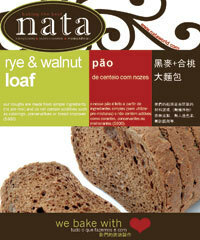 the dough we manufacture for our nata line is not made from pre-mixed products, is not added chemicals like bread improver (S-500) or any sort of "E" ingredients, preservatives, emulsifier or artificial colorings.